Published: November 20th, 2018 by Simon. Filed in Bathroom and tagged bathroom renovation. There’s no doubt that bathrooms are the most used and the most important room in any home. Over time, bathrooms are subject to constant and heavy use. Unfortunately, homeowners often tend to ignore their bathrooms, and they are often the last rooms to receive upgrades. If you’re wondering whether it’s time to undergo a bathroom renovation, you need to pay attention to your space. Every bathroom offers some early warning signs that a renovation is due. By spotting these signs early and fixing them, you can save yourself from going through a lot of hassles later on. Today, we’ll take a look at five tell-tale signs of a neglected bathroom. If you spot any of these signs in your space, you’ll need to plan a renovation soon. Due to excessive moisture, over time bathrooms will often develop mould and mildew. This is more noticeable in enclosed areas such as the shower. If the grouting in your shower is turning black or dark green, or you have patches on your ceiling, you’re dealing with mould and mildew. Fortunately, removing mould and mildew is fairly simple, and all you need is some bleach and a good scrubbing. 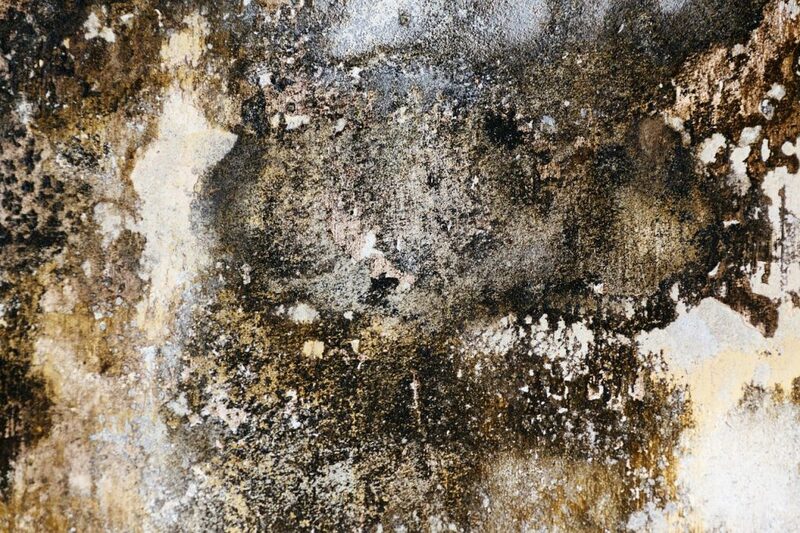 However, in cases of excessive mould or cases of mould growing on cracks, you may require the help of a professional for mould remediation. Has your grout seen better days? Compared to other rooms in your home, your bathroom is subject to much more humidity and moisture. 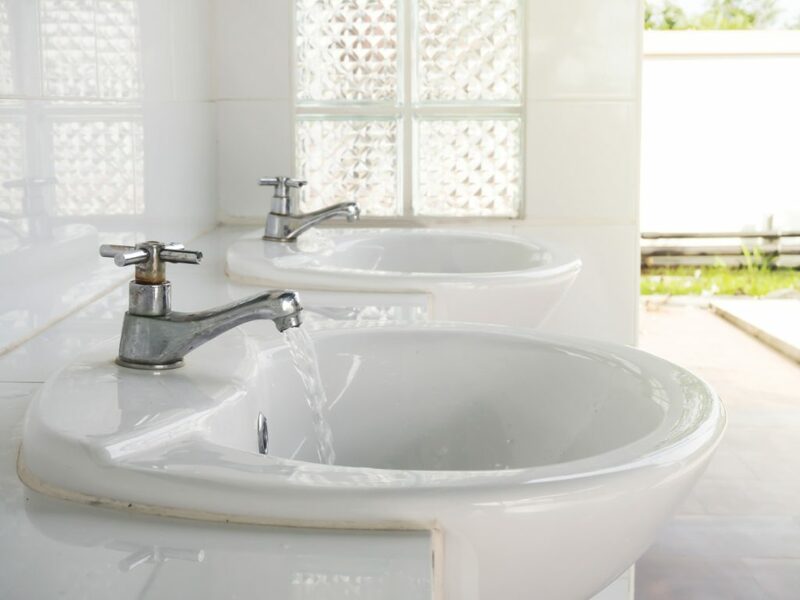 Due to this, bathrooms may develop structural issues that arise from water damage. These structural issues usually manifest in the form of cracked tiles, missing grout, stains or peeling paint. 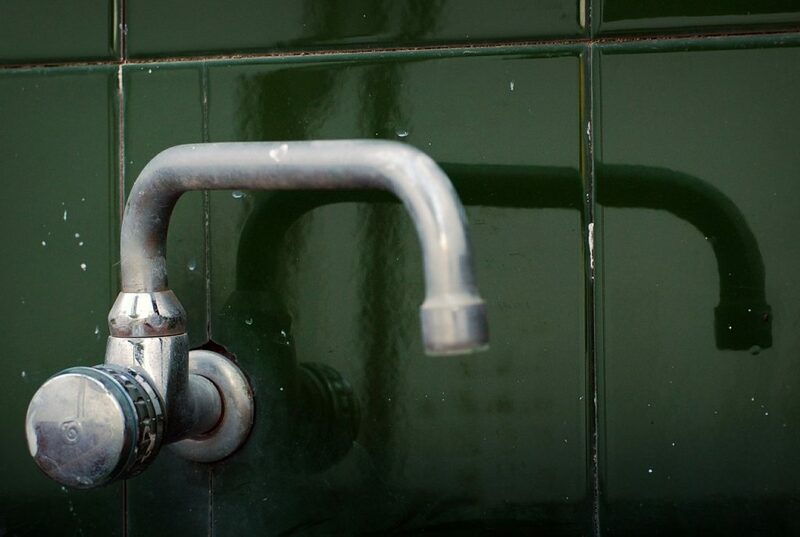 Stains, missing grout, cracked tiles or peeling paint are the first signs of possible water leaks and corrosion. Make sure to check for possible leaks and structural damage and get them fixed. When you’re done, you can go ahead with replacing your cracked tiles and redo your grouting. If you find that you’re in need of new bathroom tiles in Perth, be sure to check out our collection here at Ross’s Discount Home Centre. You’re sure to find a tile of your choice in our massive selection of feature tiles. 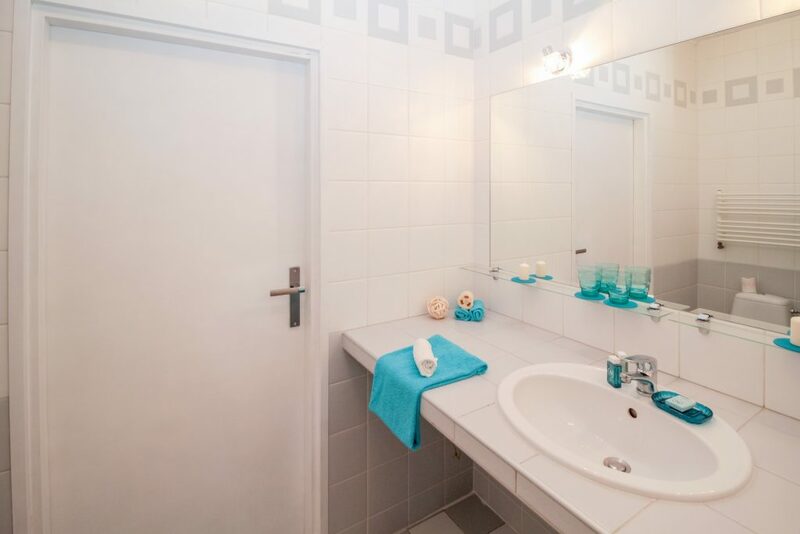 This bathroom is a perfect example of bathroom design in the 90’s! Do you often wonder what you can do to give your bathroom a fresh look? 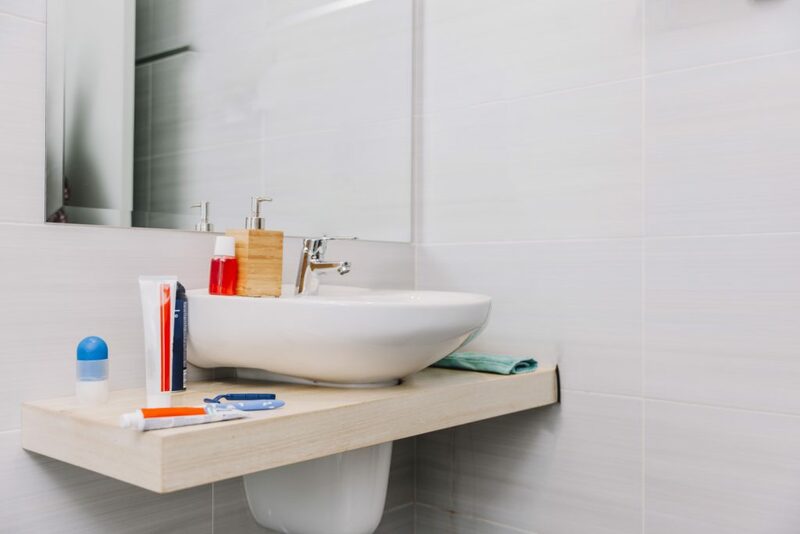 If your bathroom has lost its visual appeal and doesn’t feel as inviting and comfortable as it once was then it’s time to consider a bathroom renovation. Bathroom design trends keep changing very often, so there’s a good chance that your space looks outdated. To inject some freshness into your space, consider updating to modern fixtures, fittings, and accessories. Ross’s Discount Home Centre has everything you need to turn your old, outdated bathroom into a bathroom you’d expect to see on The Block! For more inspiration, be sure to read my earlier post titled, ‘6 Bathroom Trends You Need to Follow in 2019’ – these trends are inexpensive and will help you breathe new life into a tired bathroom design. If your bathroom fixtures are old or leak, then it’s time to consider a bathroom upgrade. While old and leaky fixtures will waste a lot of water, they can also lead to structural damage if ignored. Check all your fixtures and fittings, including your toilet suite for leaks. And, if you’d like to upgrade to more water efficient bathroom fixtures, look no further than us at Ross’s Discount Home Centre. You’ll find an entire range of efficient water fixtures and toilet suites for your Perth bathroom renovations at our store. Do you have nowhere to store your bathroom essentials? One of the easiest ways to identify if your bathroom needs an upgrade is if you lack storage space or have outgrown the existing storage space. No matter what the layout of your bathroom, you must have some form of storage. Bathroom storage comes in many forms ranging from glass shelves to cabinets and vanities. Depending on the size of your bathroom, choose an appropriate storage solution for your needs. By adding storage, you’ll instantly transform your bathroom into something functional. Ross’s Discount Home Centre can also assist in all your storage needs. We offer a comprehensive range of cabinets, bathroom vanities and bathroom mirror cabinets to meet your requirements. If you’re wondering whether or not to renovate your bathroom, you should check for some early warning signs. If there is the growth of mould or mildew, if you spot crack tiles, stains, missing grout or peeling paint, if your bathroom looks dull and outdated, if your fixtures are old and leaky and if there is a lack of storage in your bathroom, you should consider undergoing a renovation. For this, you will find all your renovation needs at Ross’s Discount Home Centre – we specialise in Perth bathroom renovations and would love to be of assistance. Start your renovation by shopping for bathroom products from our online store today!